Buy Bubble's look: Dress, $69.99 ; Shoes, $29.99 ; Bag, $47.64 ; Bow , $3.40 ; Earrings , $60. Buy Blossom's look: Dress, $94.99 ; Shoes, $29.99 ; Bag, $19.80 ; Bow, $1.80 ; Earrings , $60. 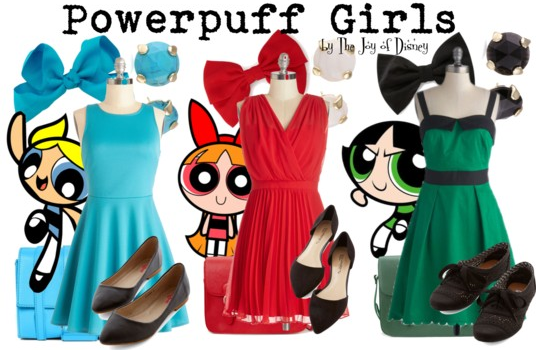 Buy Buttercup's look: Dress, $69.99 ; Shoes, $34.99 ; Bag, $19.80 ; Bow, $2.80 ; Earrings , $60.